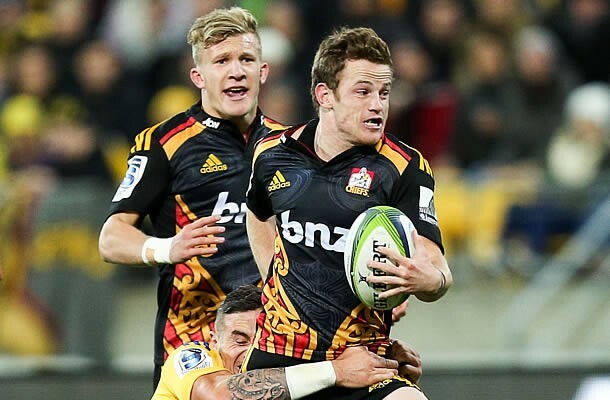 Hamilton based Super Rugby franchise the Chiefs have been given a boost ahead of the clash against the Bulls in Rotorua as three players have re-signed with the franchise. “We’re rapt these men have committed long term” added Rennie. Halfback Brad Weber has been in electric form, with the 24 year-old drawing attention with his speed and skill. The former New Zealand U20’s player Weber said “I am really happy at the Chiefs and didn’t want to leave. Both Johan Bardoul and Michael Allardice made their Investec Super Rugby debuts this year and they have pleased the coaching staff. The 27 year-old who represents Bay of Plenty, Bardoul was a late starter to Super Rugby but is rapt to get an extension after his first season at this level. “I love the environment, the boys and the coaching. I am learning lots and I want to win a Super Rugby Championship. “It is also great to have my future for the next two years sorted,” said Bardoul. Lock Michael Allardice has impressed both in his appearances for the Chiefs and in training. The 2.00m forward is enjoying his rugby and Allardice believes that is important. “I have loved my time at the Chiefs and couldn’t see myself playing anywhere else. It was an easy decision for me to make, with the Chiefs great coaching staff, the playing environment and group behind the scenes,” said the 23 year-old. Michael Allardice – the former New Zealand Schools and New Zealand University representative played a crucial part in his ITM Cup team winning the Ranfurly Shield in 2014. He played every game for his side Hawkes Bay and helped his side retain the famous shield for the summer. Allardice was part of the Canterbury academy and completed his Commerce degree prior to making his ITM Cup debut for Hawke’s Bay in 2013. He is a former Manawatu age-group representative and a product of Palmerston North Boys’ High School. He made his Investec Super Rugby debut in round 4 against the Highlanders this year. Johan Bardoul – is a trained teacher and a former Rugby Development Officer. He made his Super Rugby debut against the Blues in round one of this year. The loose forward is a hard nosed, determined athlete who earned his first Super Rugby contract on the back of an impressive ITM Cup season with Bay of Plenty. Bardoul has also been part of the Chiefs Development programme and trained with the Chiefs previously as an injury replacement player. Brad Weber – Brad Weber made his Investec Super Rugby debut last year against the Crusaders and has played a major role in this season’s campaign. Weber who is in the final stages of completing a degree in Applied Science captained Waikato during the 2014 ITM Cup season and displayed his strong leadership skills and electric speed. Weber has represented Otago whilst studying at University and played for the New Zealand U20s side in 2011 that won the Junior World Cup.